High alkalinity and bleach form the base of this low foam, high performance formula developed exclusively for pressure cleaning. The low foaming characteristic of LFC mean less foam and less time spent rinsing. 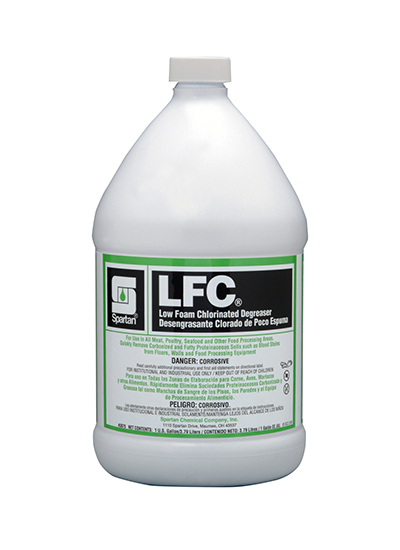 LFC’s bleach cleaning action provides quick protein removal and destaining. The buffered alkaline components react with fats to emulsify, remove fatty soils, grease, oils and carbonized soils.